Barefoot Angie Bee: Sockwa Amphibian shoe review on a cold cold day! 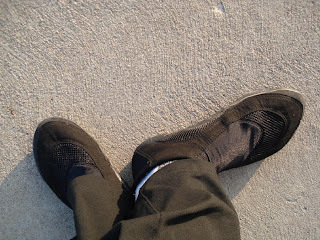 Sockwa Amphibian shoe review on a cold cold day! Today my better half and I ran 10 miles in the sun with a nasty wind and very cold temps at the State Fairgrounds here in Des Moines. 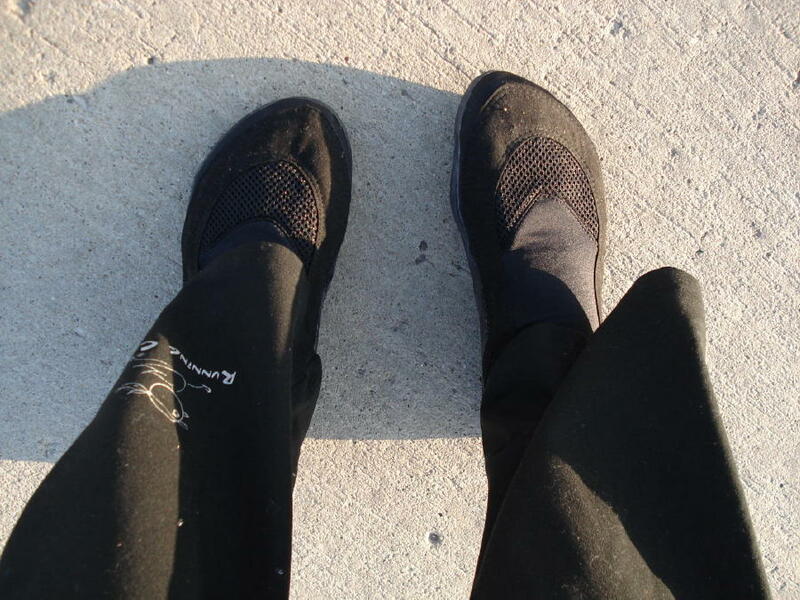 I wore my Sockwa Amphibians and a pair of wool socks. I tried the Amphibians out earlier during the summer but they were a bit too big. A friend of mine sent them to me and I thought that they had some positive aspects to them however I wrote them off since they slid around on my feet too much. I think this might be a common problem with water shoes. I also have a pair of Teva Proton water shoes that I love for winter running. They are too big though even with wool socks. They are the right length yet are too wide even for me. I used to have and still do comparatively narrow feet yet after being barefoot for over a year and a half they have spread and taken on a more natural shape and comfortable splay. Even so, my Protons are great when its cold and wet so I am thinking of switching between the two when we do get snow. Today I wore a pair of fairly thick wool socks with the Amphibians and the fit was much improved. There is a zero heel-toe drop and they mold well to my feet. I am so glad I gave them another try! The toe box is a little on the narrow side yet they flex and stretch well so it never became a problem while running. It will be something I will pay close attention to. The tightness across my forefoot might become a problem over time. It was only annoying in the first mile or so while I was getting used to wearing them. I quickly forgot I had them on after that first mile. They are very light at 3.5 ounces each. They roll up into a tight little ball which is a good test of minimal shoe flexibility. A true indoor/outdoor second skin. Sockwa is the first shoe that feels like a sock. TPU sole, breathable mesh, and fleece throughout. Breathable, Crushable, Washable. Tread Earth Lightly. This product is currently available in women’s size 5.5 – 8.5 and mens’ sizes 8.5 – 11.5. The sole of the amphibian is a true revolution in footwear. TPU 1.5 mm thick. Please note that Amphibians run small, so please choose 1/2 - 1 size larger than most shoes for a comfortable fit. There are several styles of Sockwas. I have a pair of the Playa model in a very cool bright blue that does not have a rubber sole and I used them a few times to try out on the treadmill last winter. They worked well for that and would work in sand on hot days or maybe in the grass but I wouldn't imagine them holding up long. The Amphibians have a rubber sole that is pliable and thin and I am now very curious to see how long they last for. I am thinking that these will be my winter shoe! My ankle was only minimally sore (it feels like its on the mend) and my nerve issue on my right foot that causes a shooting pain through my second toe was easy to keep to a minimum by relaxing my foot, ankle, and knee and by taking shorter steps. This is really working my calves though so now I need to stretch a bit. Last winter there were several inches of snow on the ground by now in December and I gave up on running outside from then on since it wasn't just snow but ice as well. 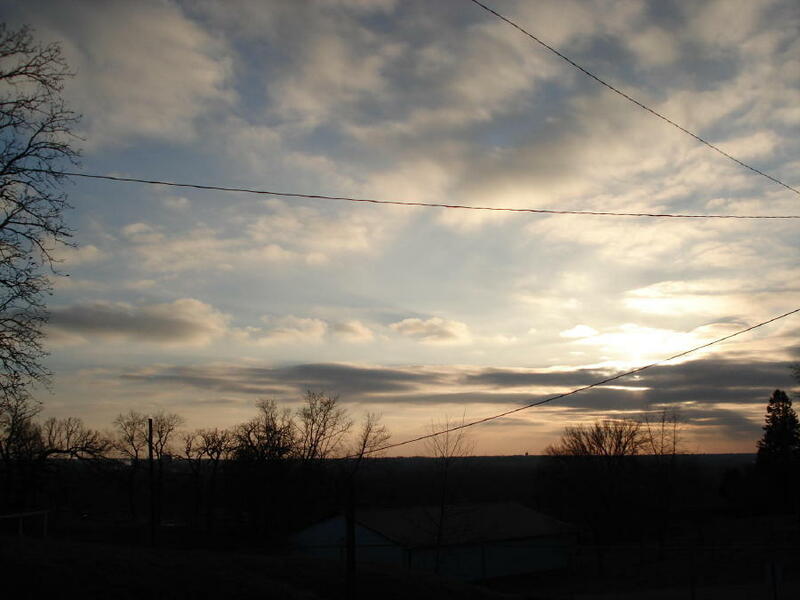 Now that its dry I hope to continue to run outside and figure out what works and change what doesn't. The hubster is wanting to move up to 11 mile runs now (he is wearing socks to run in the cold)!! Woohoo! BUT thats an extra 10 minutes out in the cold. What worked was wearing my aviators to cut the wind from my eyes. They are nice and big although at the end the metal was getting too cold when the sun went down and I wished I had on goggles!! The nose piece is missing on one side of my shades and it started to hurt from the cold. My hat was warm unless the wind was blowing, which was at least half the time out. Its just such a cool hat... I need better gloves and the hubs thinks he has a second pair around somewhere that he can wear and I can wear his. They cut the wind and are nice and toasty. I wore them yesterday and was thinking that I needed a pair. It would be great if we could use what we have instead of buying more. Hydration is key, even in the winter. Jaymon had a very rough run last time we went out and we discovered that it was from a lack of electrolytes. I should have known this being a nuun rep and all but now I know and know to ask for symptoms in detail next time. He drank some nuun and immediately felt better. We took nuun along with us this run and were able to keep any cramping at bay. The only problem was that it got super cold in the car and made us cold drinking it. 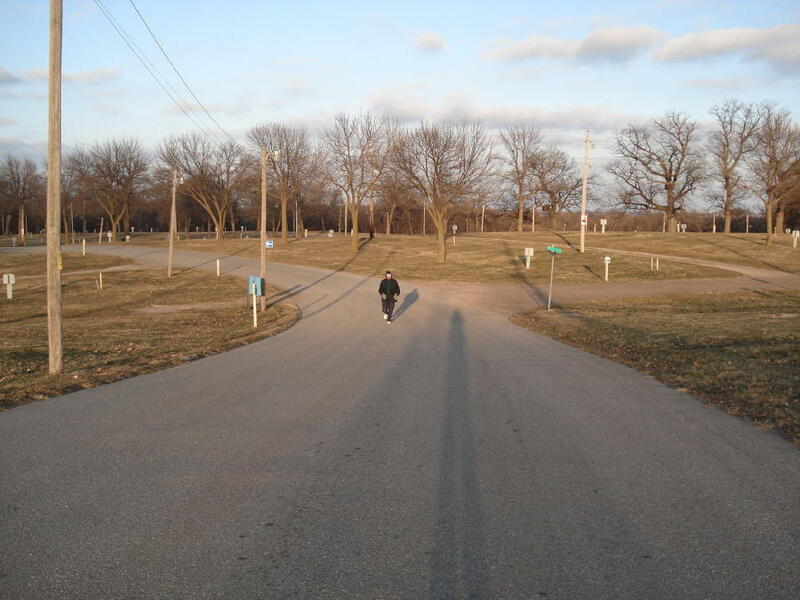 We enjoy running at the State Fairgrounds for the minimal amount of traffic and mostly clean roads. Today we seemed to find every piece of gravel there was and even with the Sockwas on I still had some cuss worthy rocks. I love the cussing at rocks and it really does help! I usually don't take a Clif gel on 10 miles or less but today I think the cold and wind were sapping the energy right out of me so I ate one at about mile 5 and of course drank nuun throughout the run. It helped tremendously and gave me enough pep to finish. After the sun went down the temperature dropped quickly. The temperature was 26 when we started out and 23 when we were finished. All in all its great running weather with the right change in attitude. I have some wardrobe tweaks to make but if it stays dry I think I might like winter running! Stay warm and run happy my friends! Don't forget to enter my Jessica's Gifts Sterling silver and Copper pendant giveaway! How interesting! Those Sockwa Amphibians look so much like those cheap aqua shoes you can buy for kids! I'm so glad they seem to be working for you finally. 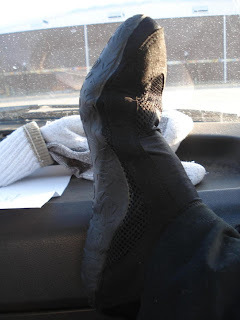 I gotta try those, I'm not loving the Vibrams..
How do you think the Amphibian would do on wet, snowy/slushy roads? Would my feet end up wet? VFF are horrible if you want to keep your feet dry! I too am wondering how they would do in wet conditions. I bought some snow boarding mittens last year on clearance and love them. They are only for below 30 degrees because anything over that and my hands get too warm. But I've never gotten too cold with them. So if you HAVE to buy some, consider something like that. I love mine! Lots of interesting things in this post. This weekend I ran my longest distance ever, 10 miles. Temperatures in the 30s and windy, I alternbated barefoot and huaraches but should have used socks. The last few miles were hard. I had no major pain but felt very weak. I didn't bring anything to eat or drink, do you think that could be the problem? Once I was back I drank 1.5 liter of water with 2 Nunns and forced myself to eat some breakfast. I felt much better after that. How do you like to carry your drink? Handheld, belt? Love your stocking hat!! You're so photogenic!!! My friend told me today that she heard some de-stressing tips and swearing was number 1! Which works out well for me, as I cuss like a sailor..away from my child of course...well, most of the time. 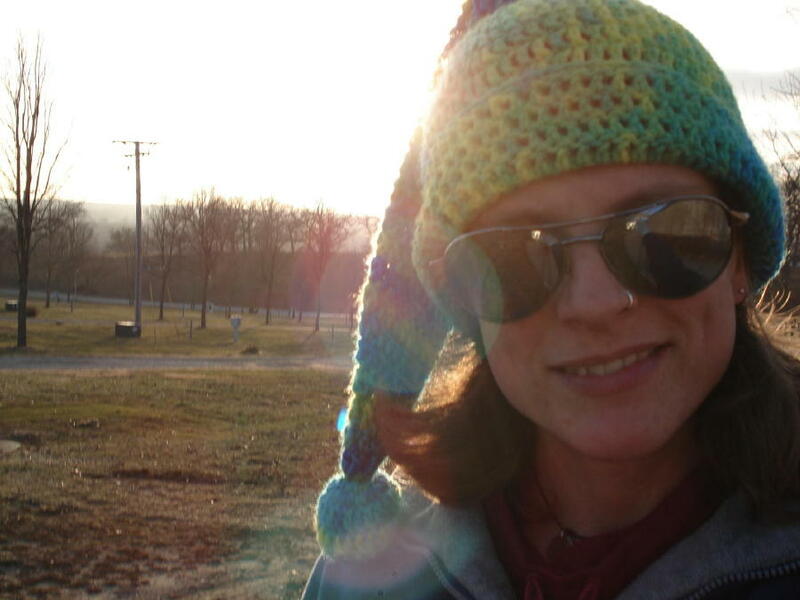 I love your fun hat...doesn't it just help make winter running more fun to have a cool hat! I'm glad you are off to a dry start to the winter this year. Greetings! I am just beginning my bare foot running experience and a friend and current blogger recommended I check out your blog! I like it! I look forward to following you! Thanks for the thorough review. Our Amphibian sole is actually Plastic, not Rubber. It's TPU and it's better than rubber. It has the best wet slip, which means it won't slip like rubber VFF soles or water shoes with silicone bottoms. You'll love 2011 soles as we took some cussing out, by adding another 1.5mm worth of plastic in the heel and ball of the foot. Keep the comments coming. We love improving always. Hi Angie, your blog is very helpful, seeing this makes me want to buy that type of shoes.